Never pay full price on gas again. And save inside on UDF favorites. Save 10¢ off per gallon of gas just for registering your card. When account has no additional earned savings you still save. Earn fuel savings with stuff you already buy. 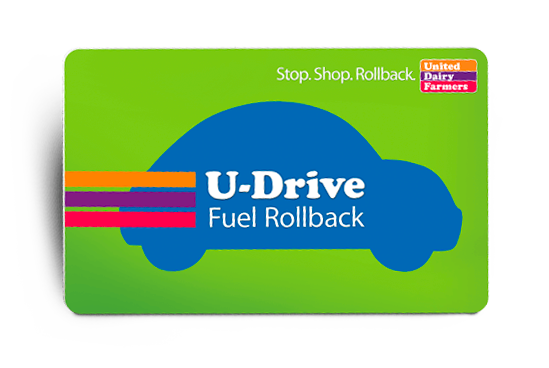 Save at the register on select favorites with U-Drive. Everyday purchases add up until you fill up. Lock in the day’s lowest gas price automatically. Pump what you need, then pay inside with cash.